​Everton boss Marco Silva is facing serious doubts over his future at Goodison Park after their recent disappointing run of results, and owner Farhad Moshiri is already considering replacements, including eccentric Leeds manager Marcelo Bielsa. The Toffees have endured a disastrous start to 2019, losing five of their last six games including a defeat to Championship side Millwall in the FA Cup fourth round. 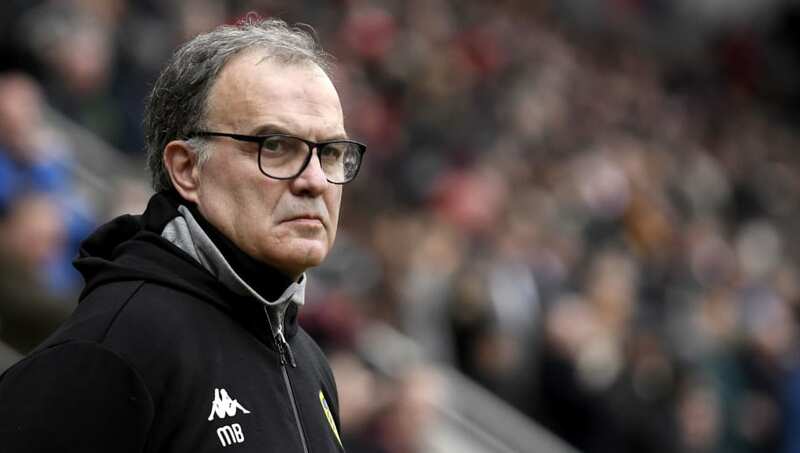 According to the ​Daily Mirror, well placed sources on Merseyside believe enigmatic ​​Leeds United boss Bielsa is the primary target should Silva be sacked. The Argentine manager is highly regarded by many in the world of football, namely Pep Guardiola, as one of the best managers around. Bielsa has done an impressive job at Elland Road, guiding Leeds to second place in the ​Championship, as they look to return to the top flight for the first time in 15 years. However, his time in England hasn't been without controversy, with Bielsa being investigated for spying on every opponent this season after Derby County discovered an individual at their training ground. Meanwhile, expectations were also high for Silva's tenure at ​Everton after the 41-year-old spent £90m during the summer transfer window. Brazilian forward Richarlison followed Silva from Watford for an initial £35m, while Barcelona trio Yerry Mina, Lucas Digne and Andre Gomes arrived for a combined £45m with the latter joining on loan. Everton lose again. Marco Silva is a bigger fraud than that lad behind the Fyre Festival. However, things haven't gone according to plan after Silva was tipped to bring European football back to Goodison Park and to challenge for trophies. Everton sit in ninth place in the ​Premier League, which will delight ​Watford fans who are four points ahead in eighth place following Silva's unceremonious exit from the Hornets in January 2018. Silva has had a colourful managerial career, quitting three jobs and being dismissed twice, the first of which was due to not wearing the correct suit for a cup final with Sporting CP. If the former Hull City boss is relieved of his duties, Farhad Moshiri will surely find it difficult to lure Bielsa away from Leeds, who are among the favourites for promotion to the Premier League this season. However, what is certain is that time is ticking for Silva at Everton, whose next six fixtures include Arsenal, Chelsea and a Merseyside derby against Liverpool.